Keeping in line with my moisturizing-themed product recommendations, I present to you: Mermaid Monday (products made for merms on land). In today’s installment, you’ll find things I’ve talked about and things I haven’t talked about, all brought together based on a theme (and the fact that they looked cute together on this table). 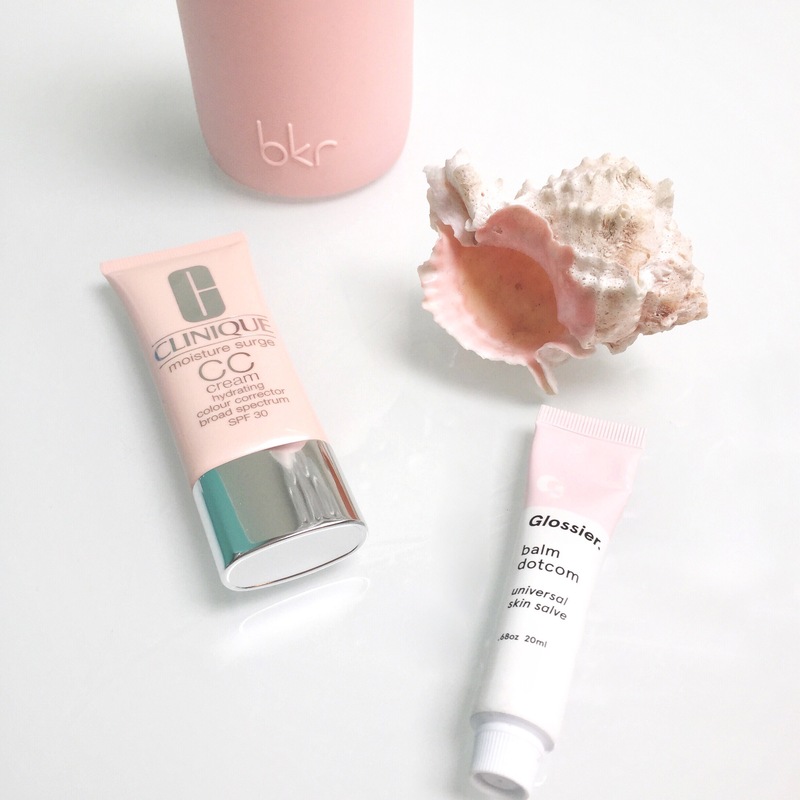 bkr – it reminds you to consume the #1 hydrating beauty product: water. and it’s cute. WIN. Also, you’re going to incessantly combat dehydrated skin, eyes, lips, hair, etc if you don’t drink enough water! Using a refillable bottle can help eliminate single use plastics, save the ocean, and contribute to a healthier planet. Clinique moisture surge CC cream – a little SPF for long days in the sea, a little moisture for dry skin, and light color correcting to blend in a sun burn or hide a blemish. Glossier. balm dotcom – it’s a pretty rad lip balm, especially for v dried/chapped lips. Have a happy Monday and stay hydrated!